Ecommerce in Australia is rapidly changing. How will you stand out from the crowd? With so many new businesses coming online in 2014, you may wonder how you are going to compete with all of them. 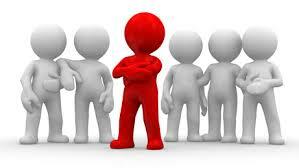 How will you stand out from your competitors and get your customers to buy from your online store? The fact is that 99% of businesses online don't know how to rank well in the search engines. They don't know how to write good sales copy and they don't know how to convert visitors into sales. This gives you a massive advantage and can place you in the top 1% of all websites in your chosen field - if you know how. So what are the trends in Australian ecommerce for 2013 and how can you use them to make more sales? It goes without saying that having an Internet presence is vital for Australian businesses in 2013. While offline sales are growing at a rate of about 2.2%, online sales grew at a whopping rate of 26% this year. Over AUD$12.3 billion was spent online last year and the trend continues to grow (Source NAB). A survey undertaken in April 2013 revealed that 11,489,380 Australians use Facebook. That is about half the current Australian population. Not only is Facebook a great way to connect with old friends, it also offers businesses a warm market where they can promote their products and have them shared with thousands of people. Facebook also offers targeted advertising so you can put your product in front of potential buyers. There is no doubt that Facebook has opened up a whole new realm of opportunity for Australian businesses that will be a major focus in the coming years. A survey conduced by Zoomerang revealed that getting a top ranking in the search engines is the biggest challenge facing Australian retailers online. While many businesses have recently fallen victim to Google's Penguin and Panda updates, search engine optimisation is definitely not dead. In fact, Google has leveled the paying field. What Google wants more than anything else is to provide relevant, high quality, unique content to it's search engine audience. How does this benefit you? Simple. All you have to do is look at your competition. See what content they are offering and beat it! Go the extra mile to create more relevant, unique content and the search engines will love you. Share your content through social media avenues like Facebook and Google+. Start a blog and be the expert in your field. That's what Google wants and that's how you can get a higher ranking and beat your competitors in 2013. It doesn't seem like long ago when land lines were the norm and mobile phones where those big chunky things that a few rich people had. Mobile devices have changed the way people communicate more than any other invention in history. The transition to mobile commerce has been one of the biggest shifts online businesses in Australia have faced in 2013. Websites now need to be responsive and adjust to any sized screen. People want to be able to find your products anywhere, anytime and if your website isn't mobile friendly, you're being left behind. The future of ecommerce in Australia is rapidly changing. An ecommerce website needs to be dynamic, full of unique quality content, mobile friendly and utilizing the latest social media plugins. Don't get left behind. Bring your website into the 21st century today!